Home Care Assistance of Calgary, the area’s leading agency for in-home senior care, is proud to announce that it has received the distinguished Best of In-Home Care Award from SeniorAdvisor.com, the largest ratings and reviews site for senior care and services in North America and Canada. As a Best of In-Home Care recipient, Home Care Assistance of Calgary represents the best of the best of in-home care, assisted living and other senior living providers, based on online reviews provided by seniors and their families. This exclusive designation honors the top one percent of senior care providers across the United States and Canada. Home Care Assistance of Calgary is one of the only winners in Calgary, AB, and regularly receives exceptionally positive reviews from clients and their families such as, “My family wanted to let the team at Home Care Assistance Calgary know that the care that was provided for my father when he left Rocky View Hospital to his home was very professional. We were so impressed they had someone there on such short notice, and we were able to manage all of our concerns. Our caregiver even made dad laugh – which is hard to do sometimes!! Thank you for everything we would use your service again in a second,” said family member of client of Home Care Assistance of Calgary. For more information about the company’s commitment to excellence, please visit www.HomeCareAssistanceCalgary.ca or call 403-907-0861 at any time. Feel free to visit the office located at 10333 Southport Rd, SW #107, Calgary, AB T2W 3X6. Home Care Assistance is the leading provider of home care for seniors across the United States, Canada and Australia. Our mission is to change the way the world ages. We provide older adults with quality care that enables them to live happier, healthier lives at home. Our services are distinguished by the caliber of our caregivers, the responsiveness of our staff and our expertise in daily care. We embrace a positive, balanced approach to aging centered on the evolving needs of older adults. A 2018 Franchise500®, Inc. 5000 Company and one of the 50 fastest growing women-owned companies worldwide in 2016, Home Care Assistance has received numerous industry awards including Entrepreneur’s Fastest-Growing Franchises and Franchise Business Review’s Top 50. The company was recognized as a 2018 Endorsed National Provider by the home care industry’s leading research firm, Home Care Pulse. Home Care Assistance CEO Lily Sarafan was also named Health Care Executives’ 2016 Woman of the Year. For more information about Home Care Assistance, our services and franchise opportunities, visit www.homecareassistance.com. 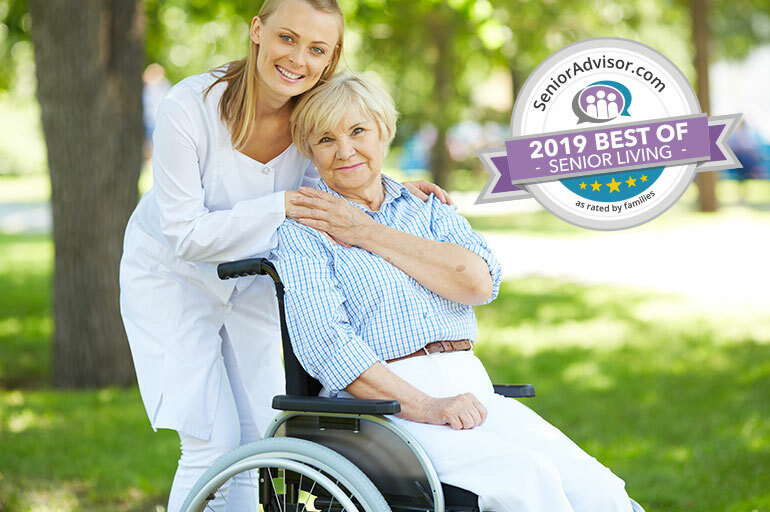 SeniorAdvisor.com is the largest consumer ratings and reviews site for senior living communities and home care providers across the United States and Canada with over 150,000 trusted, published reviews. The innovative website provides easy access to the information families need when making a senior care decision, and features trusted reviews and advice from local residents and their loved ones. For more information, please visit www.SeniorAdvisor.com or call (866) 592-8119.